Since 2004, my firm has been providing quality, personalized financial guidance to local individuals and businesses. My expertise ranges from basic tax management and accounting services to more in-depth services such as audits, financial statements, and financial planning. My mission is to help clients maintain financial viability in the present while taking a proactive approach to achieve future goals. This requires open communication to reach an understanding of my clients' needs, thorough research, and sound analysis. My firm is dedicated to meeting these goals with high standards of excellence and professionalism. 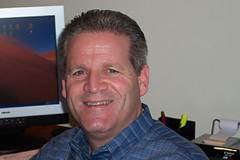 Mike is a CPA with over 20 years of professional experience, and practices in Redwood City. He has recently become a sole proprietor, after having spent numerous years with national and regional CPA firms. Mike began his accounting career in 1984 with Laventhol & Horwath, and then worked in Coopers & Lybrand's tax department for a number of years. Since then, Mike has spent seven years with the regional firm of Ireland San Filippo, LLP, as well as spending five years holding CFO positions for several companies in the Bay Area. These companies included VC funded start-up companies, Real Estate Managers & Developers, as well as Product Distribution Companies. Mike has extensive experience with Closely Held Businesses, Real Estate transactions, and has a widespread knowledge of working with start-up companies. This background gives Mike a broad range of experience with all sides of the Finance, Accounting & Tax disciplines. Mike's background also provides him with a strong base for providing excellent service in the consulting, accounting, and tax service needs of privately held companies. Mike is an alumni of Cal State Hayward, and has a Masters Degree in Taxation from Golden Gate University. Mike is a member of the American Institute of Certified Public Accountants and the California Society of Public Accountants.